Since Now, From Then. October 12, 2013. Courtesy of Storefront for Art and Architecture. 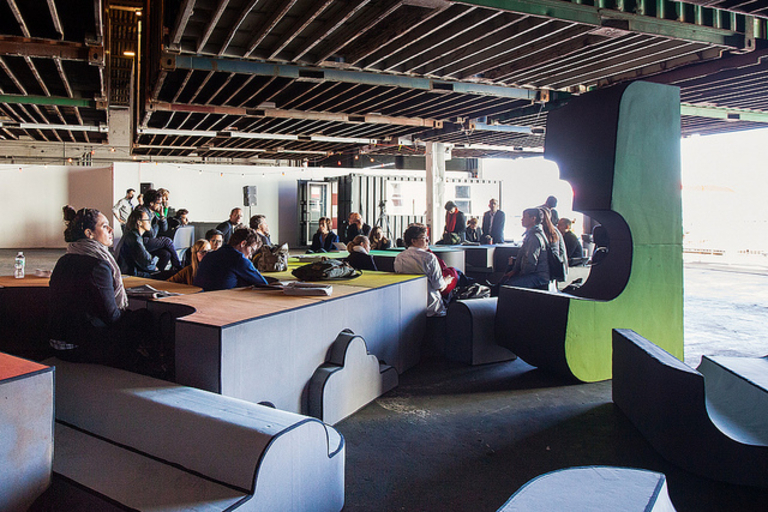 The cultural, political and social context that produced – 30 years ago – Storefront for Art and Architecture has radically changed, yet the need to produce alternatives to the contemporary forces that shape public life are still as vital as ever. 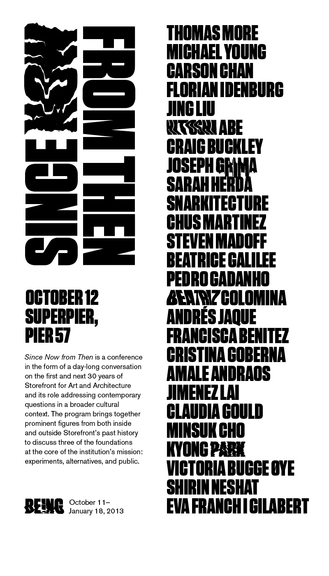 Since Now From Then is a conference that takes the form of a day-long conversation on the first and next 30 years of Storefront for Art and Architecture and its role addressing contemporary questions in a broader cultural context. The program brings together prominent figures from both inside and outside the organization’s past history to discuss three of the foundations at the core of the institution’s mission: Experiments, Alternatives, and Public. 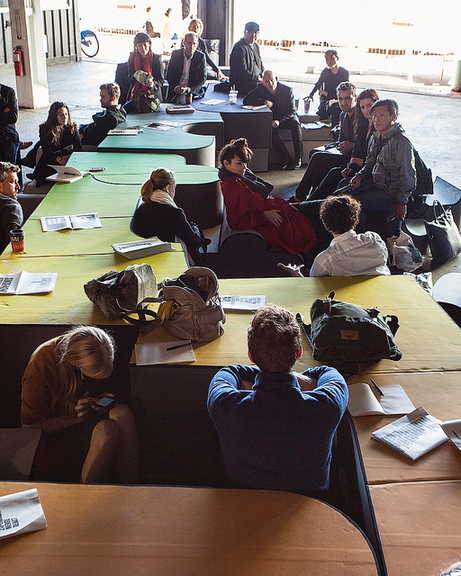 The day-long program of table discussions includes presentations, discussions and special performances addressing past and future understandings of what it means to produce experiments, alternatives and public life today. Organized in conjunction with the exhibition BEING, Since Now From Then provides a space to interrogate—in the past, present and future sense—Storefront’s role as a catalyst for experimentation in artistic and architectural practices, as a platform for alternative ideological and disciplinary positions, and as a public forum for ethical and political conversations. 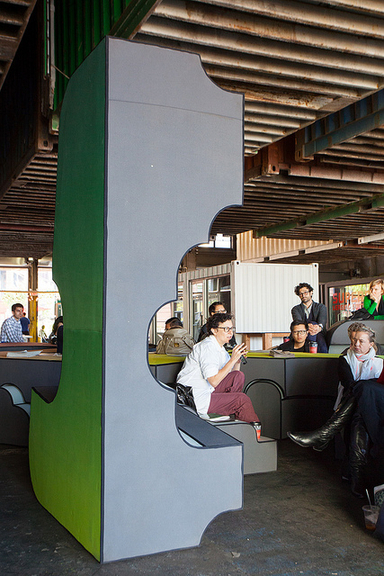 The conference is held around, at and within a 99-seat, Storefront-sized table (The “Speechbuster”) designed by Jimenez Lai and Grayson Cox. Over the course of the day, the table changes its configuration to accommodate different forms of conversation and performances. 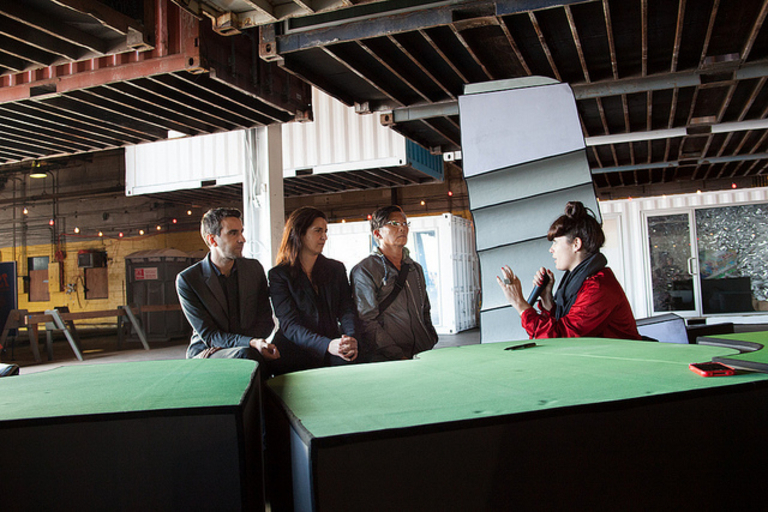 Participants include Carson Chan, Michael Young, Florian Idenburg, Jing Liu, Hitoshi Abe, Craig Buckley, Joseph Grima, Sarah Herda, Snarkitecture, Chus Martinez, Steven Madoff, Beatrice Galilee, Pedro Gadanho, Beatriz Colomina, Andres Jaque, Francisca Benitez, Cristina Goberna, Amala Andraos, Jimenez Lai, Claudia Gould, Minsuk Cho, Kyong Park, Victoria Bugge Oye, Shirin Neshat and Eva Franch i Gilabert. This conference is supported by a grant from the New York Council for the Humanities. The Critical History Project, a conference, exhibition, film and publication celebrating 30 years of Storefront for Art and Architecture, is made possible by The Andy Warhol Foundation for the Visual Arts, F.J. Sciame Construction Co., Inc., the Graham Foundation for the Advanced Studies in the Fine Arts and through generous contributions from a group of individuals directly supporting 30 years of Storefront including David Adjaye, Minsuk Cho, Beatriz Colomina, Claudia Gould, Steven Holl, Steve Incontro, Bjarke Ingels, David Joselit, Galia Solomonoff, Mabel Wilson, and Karen Wong. The Speechbuster is made possible by the Robert Rauschenberg Foundation’s Artistic Innovation and Collaboration Program, which supports fearless and innovative collaborations in the spirit of Robert Rauschenberg.